I guarantee this soup will warm you up on a cold winter evening, just like the one we are having here in Auckland while I’m sitting here writing this next post. One thing that I really dislike about winter here in New Zealand is the long cold and wet periods that we get kind of like the one we are having now. We have a bit of a problem in our front yard where the pathway that leads from the gate up to the front door of the house has sunken over the last couple of years. After a solid night or two of rain it can be ankle deep! 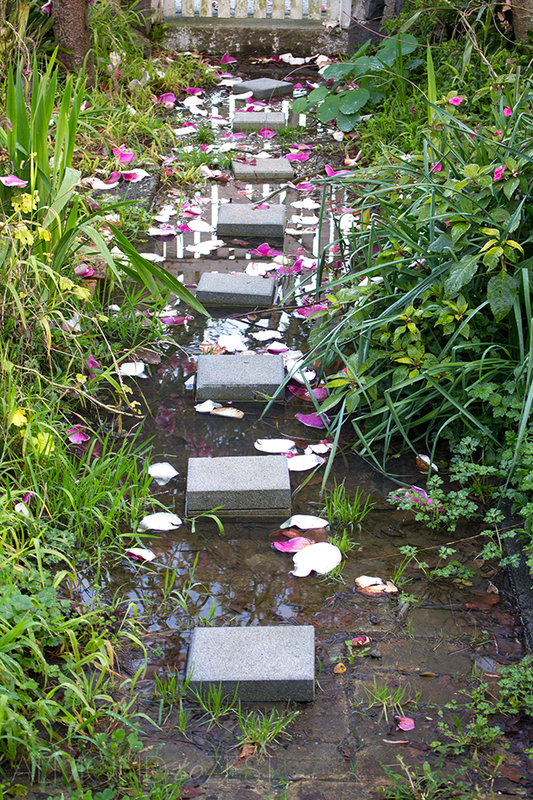 So the quick remedy for this winter has been to grab a few small paving stones from Bunnings to create a stepping stone type walkway until we can remedy the problem next summer as it’s really too cold and wet to do work outside at the moment (that’s my excuse and I’m sticking with it!). Because it has been cold and wet and we’ve been spending more time inside and more time watching Netflix. One of the cool things about Netflix is we get access to a lot of different content that we wouldn’t usually get on local TV in New Zealand. One show that I’ve really enjoyed is the PBS show The Mind Of A Chef. 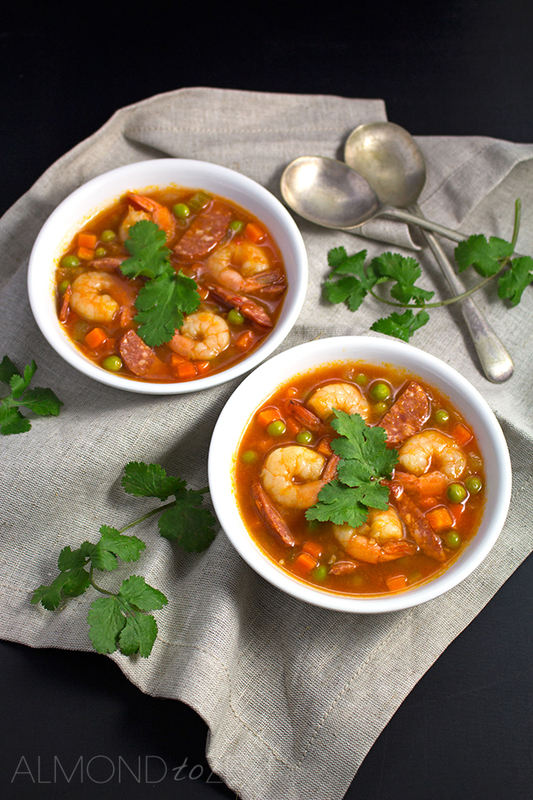 The second season of this show features a lot of southern cooking, grits and gumbos and heavy use of shrimp and sausage that kind of gave me the inspiration for this soup. Down Under, here in New Zealand we tend to call prawns what North Americans call shrimp so if you come across a recipe using prawns, then know that they are interchangeable with shrimp and visa versa. 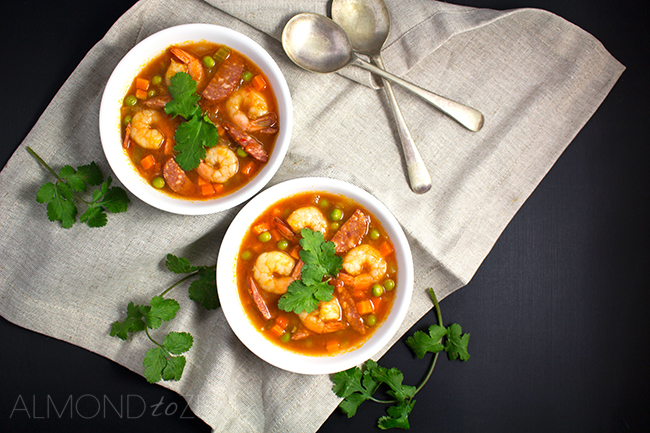 In this recipe the mild sweetness of the shrimp and peas are a lovely compliment from the spiciness of the chorizo sausage and touch of chilli. Together with the smoked paprika and tomato this soup is a real winter warmer. 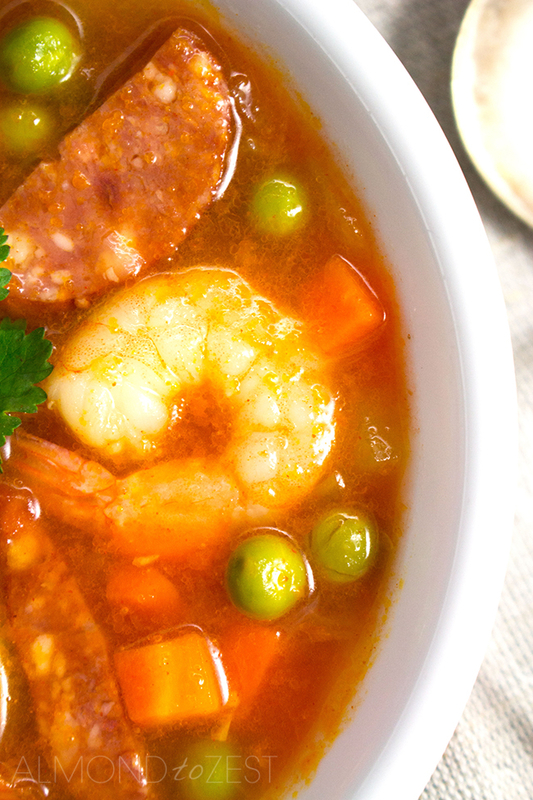 I don’t cook this soup for too long because I really like to ensure the carrot and celery maintains a little firmness to give the soup a nice texture, along with the peas, shrimp and chorizo. As with most of my soups I use stock, chicken stock in this recipe. Although you can always substitute for water I highly recommend using stock as you achieve that extra depth of flavour that you can’t get from water. 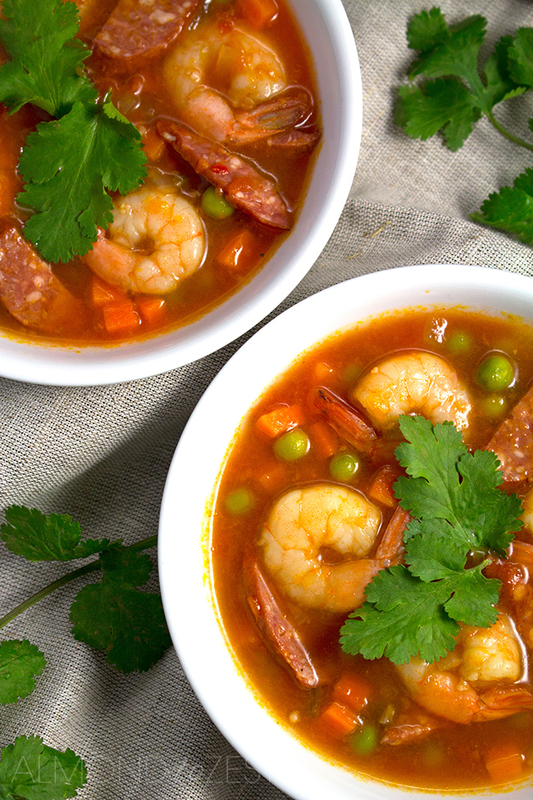 You can use either frozen or fresh shrimp for this soup, they will just need to cook a little longer if you put them in frozen. In a medium to large sized pot or saucepan heat the olive boilover a medium to high heat. Add the diced onion, carrot, celery and crushed garlic and sauté for about a minute. Add the chorizo sausage and continue to cook for another minute. Add the chicken stock to the pot first, followed by the chopped tomatoes. Stir well whilst adding the smoked paprika, soft brown sugar, chilli and sea salt. Continue to heat the soup over a medium to high heat and when the liquid begins to boil add the shrimp and frozen peas and continue to cook for around 5 minutes or until the shrimp start to turn pink. Remove the pot from the heat and let stand for 5 minutes before serving.